How can you benefit from a Miele vacuum cleaner? When was the last time you were able to say that you enjoyed vacuuming? If this is one of your most loathed chores, you can turn it into an easy task simply by investing in a worthwhile vacuum cleaner. Miele makes a wide variety of models to suit every lifestyle. Whether you’re a busy mom or a young working professional, there’s likely a Miele product that can help you keep dust and debris at bay. The company was [founded more than 114 years ago](http://www.mieleusa.com/about_miele/about_miele.asp?oT=263&benefit=93&active=The Company&subm=Corporate&thirdL=About Miele), and it’s been creating both domestic and commercial appliances since its humble beginnings. Miele has become known for manufacturing top-quality products and aims to be a leader in the industry. The business’ core values include providing peace of mind to its customers, as well as offering durability, security and reliability. For this reason, you know you’re getting a lasting product when you make a purchase from Miele. That being said, it’s worth taking a few moments to examine the benefits of Miele vacuum cleaners. Whether you want to purchase one tomorrow or later down the line, identifying the advantages of Miele items can help you make the best choice for your household. The S1 Series can be simply defined as Miele’s stick variety of vacuum cleaner, which is commonly used in both commercial and residential settings. It has a number of features worth recognizing that make it efficient and unique in contrast to similar products on the market. Classic Combination Floor Tool Carpet/Smooth – This feature allows users to go from heavy carpeting to smooth flooring seamlessly during the vacuuming process without having to switch through a series of different settings. The Miele Wand – The stick, or Miele Wand, is adjustable in height, meaning users never have to bend over or hurt their backs to use the vacuum cleaner. Tool caddy – Each vacuum has a tool caddy near the top of the model to make it easy for individuals to utilize accessories when necessary. Quick cable release – A two-clip system keeps the wiring in place while vacuuming, and a twist of the release knob can ensure that it never becomes bunched up on the floor. Miele AirClean System™ – The Miele AirClean System™ traps up to 99 percent of dust particles, making sure that they don’t enter the air of the user’s home. FiberTeQ Combination floor tool – This electric power brush can help remove stubborn debris from flooring and tight corners. Miele IntensiveClean PlusTM Dustbag - Unlike other dustbags, this one is designed to maintain suction performance and improve filtration. If you’re interested in trying something new, the S5 Series is made up of canister vacuum cleaners that have a sleek design and powerful features. Miele has made this line known for its stylish look and character, but it’s also renowned for efficiently removing dirt and debris in both commercial and residential settings. Here are some of the most notable features of the S5 line. Intelligent Automatic Setting – This feature means that all S5 vacuum cleaners can tap into the type of flooring being vacuumed and adjust accordingly for adequate suction. Three-Point Steering – These products all have 360-degree castor wheels mounted on steel axles for the utmost mobility and durability. Double-sided Wand Holder – The wand holder will keep the accessories out of the way when you need to transport the vacuum from one room to another or up a flight of stairs. 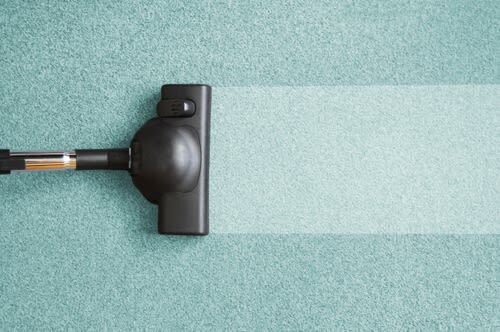 Six-level Power Adjustment – With this feature, you won’t have to worry about lacking the proper settings on your vacuum cleaner for all types of flooring in your home. Whether you have solid wood floors or high-pile carpeting, the S5 Series is made to cater to your needs. In the past, there’s been a great deal of comparison to Dyson vacuum cleaners, which are commonly portrayed as being just as versatile and efficient. However, it’s worth noting some of the advantages that Miele holds over Dyson before you purchase a new vacuum for your necessities. As Apartment Therapy reported, Miele vacuum cleaners can be used with high-efficiency particulate air filters. This can be critical for individuals who have allergies, asthma or other respiratory conditions that may benefit from cleaner air to breathe. While there are certainly pros and cons to each manufacturer, it’s hard to argue with the reputation that Miele has developed in the industry. Whether you’re interested in a stand-up model or a canister vacuum cleaner for your home, there’s likely a product out there for you. Best of all, you can gain peace of mind knowing that you’ve purchased a vacuum from a trusted leader in the industry.